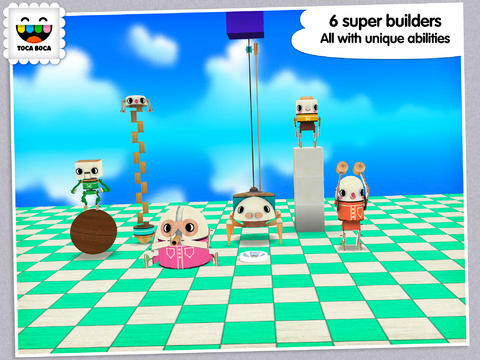 If you can imagine it you can build it with the six Toca Builders! 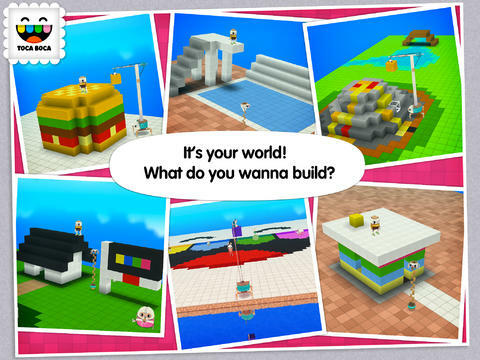 Join your new builder friends on an island far away and create a whole new world with blocks. Jump, walk, roll and rotate the builders to use their unique skills, and they will help to build whatever you can imagine! 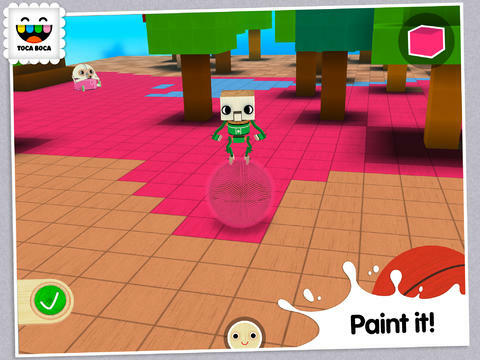 Toca Builders makes it fun to drop, spray, smash and lift blocks to construct new objects – may it be a house, lamp or maybe a banana? Let's get started by putting down some blocks. MEET THE BUILDERS! Blox: Great at dropping and smashing blocks Cooper: A fantastic painter Vex: Amazing at putting blocks in stacks Stretch: Specialized at placing blocks anywhere Connie: Enjoys lifting and moving blocks Jum-Jum: Loves to spray paint The builders will guarantee that you’re having a good time when create your world! 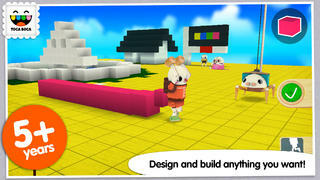 Toca Builders is a new way of creating and crafting things with blocks, that encourages both creativity and curiosity. 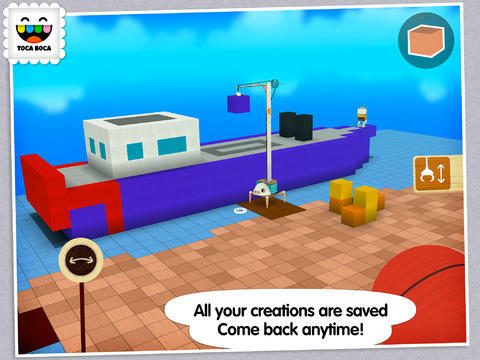 With simple touch gestures and unique controls the builders come alive and help create a world only you can dream up! 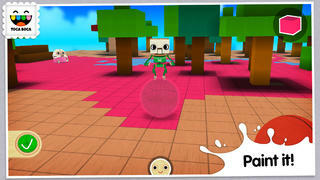 To save your world, just tap the Back-button to go back to the main menu and everything you've made is saved. The snapshot feature makes it easy to take a photo of your construction to share with the world! KEY FEATURES • 6 super builders • Build whatever you want – drop, spray, lift and smash! • Color each individual blocks as you want • Unique controls of the builders – spin, roll, aim and move • Autosave guarantees your progresses is saved • Use the snapshot feature to take a photo of your creation • Easy-to-use, kid-friendly interface with incredible creative possibilities • Incredible creative possibilities • Beautiful original graphics • No rules, stress or time limits – play any way you want • No third-party advertising • No in-app purchases About Toca Boca Toca Boca is a game studio that makes digital toys for kids. We think playing and having fun is the best way to learn about the world. Therefore we make digital toys and games that help stimulate the imagination, and that you can play together with your kids. Best of all – we do it in a safe way without third-party advertising or in-app purchases. Magic Jigsaw Puzzles Tayasui Sketches – Draw, paint, sketch and doodle ideas like on paper.